Why Buy a Certified Used Toyota near Atlanta, GA? The next best thing to a brand new vehicle is a Certified Pre-Owned one, and Nalley Toyota Union City has a great selection for our Atlanta, Georgia customers to browse over and select from. When you make the decision to purchase one of our Toyota Certified Used vehicles, you know that you’re getting a high-quality automobile that you can trust at an affordable price. Every Certified Used vehicle at Nalley Toyota Union City has gone through a thorough 160-Point Quality Assurance Inspection, ensuring that each one meets the high standards we set for every Toyota Certified Used Vehicle (TCUV). And to provide some additional peace of mind, we also provide our Certified customers a CARFAX Vehicle History Report™  so they’ll know exactly what they’re getting. But the benefits of purchasing a Toyota Certified Used Vehicle certainly don’t stop once you drive off the lot, because all of them come with a 12-month/12,000-mile Limited Comprehensive Warranty , 7-year/100,000-mile Limited Powertrain Warranty , 1-year of Roadside Assistance  and more! It stands to reason that the better a product is made the longer it will last, which makes getting a high-quality, low mileage Toyota at a great price a very savvy move. Toyota’s timeless commitment to quality, innovation and durability is the foundation upon which the Toyota Certified Used Vehicles (TCUV) program launched in 1996. With each passing year the TCUV program has gained momentum – totaling over three million sales and counting. Each Toyota Certified Used Vehicle is reconditioned to Toyota’s exacting standards by Toyota factory-trained technicians and backed by an extensive used car warranty. The Toyota Certified Used Vehicle Warranty coverage is an extension of the vehicle’s original factory warranty and helps protect Atlanta, Georgia owners against mechanical failures and breakdowns. 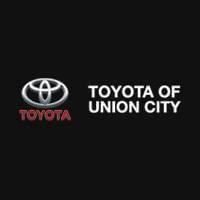 At Nalley Toyota Union City, we are committed to putting the highest quality certified vehicles on the roads of Atlanta, Georgia. Each certified used vehicle must meet or exceed an intensive 160-point Quality Assurance Inspection, which includes mechanical, detailing, and appearance standards. Our goal is to ensure that every TCUV has that like-new look and feel that you would expect in a certified used vehicle. Our factory-trained technicians complete any necessary repairs and reconditioning before we call the vehicle certified. Every certified Toyota comes with a CARFAX® Vehicle History Report™ to ensure it’s worthy of the certification process. That means you can enjoy the peace of mind that comes with owning a Toyota Certified Used Vehicle.